Design Selection is a decision-making process that used to select a design (among many alternate designs) that most closely meets multiple requirements. This is sometimes called Design Trade-Off. Pugh matrix worksheet is used to make fast qualitative comparisons when Design Options and Design Criteria are known. 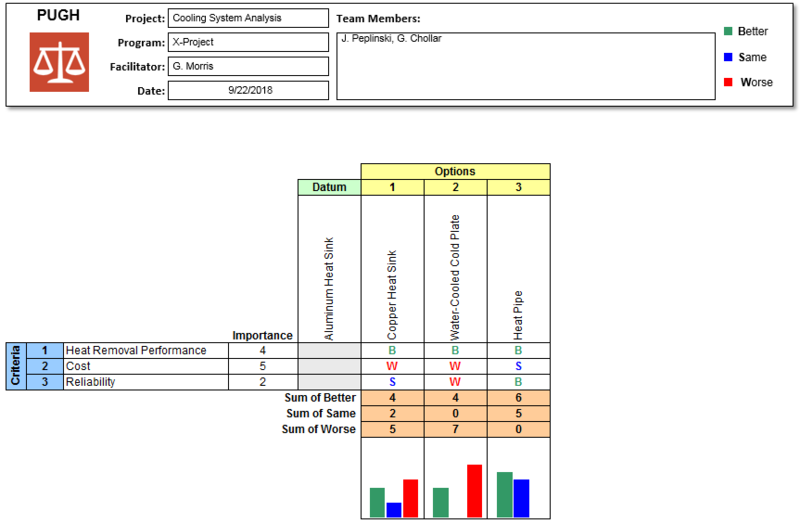 Triptych Pugh Matrix Worksheet allows you to rate and rank multiple user-defined design options against multiple user-defined criteria using the qualitative Pugh Matrix approach. 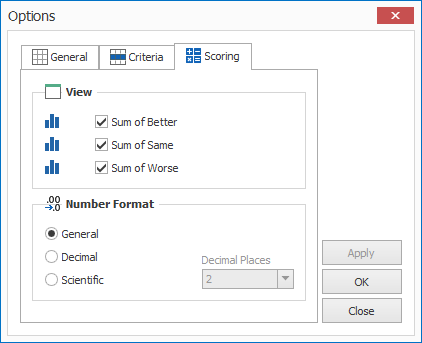 Each option is rated as better than, same as, or worse than a datum for each criterion. For each Criterion, compare each Option against the Datum. 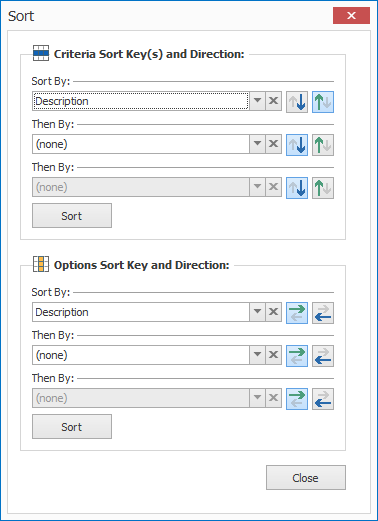 From the in-cell drop-down list, select B or Better than Datum or S for Same as Datum, or W for Worse than Datum. 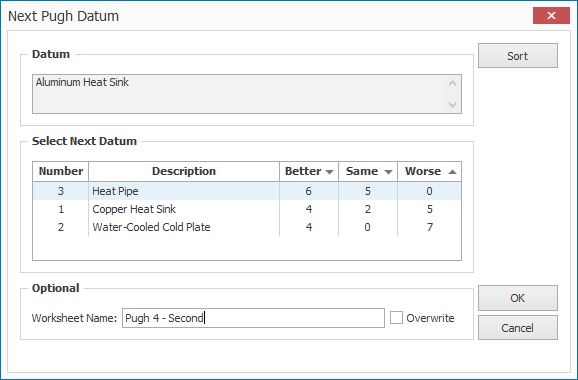 Select the next Datum and repeat step 5 until the best design option is identified. Control how information is displayed. 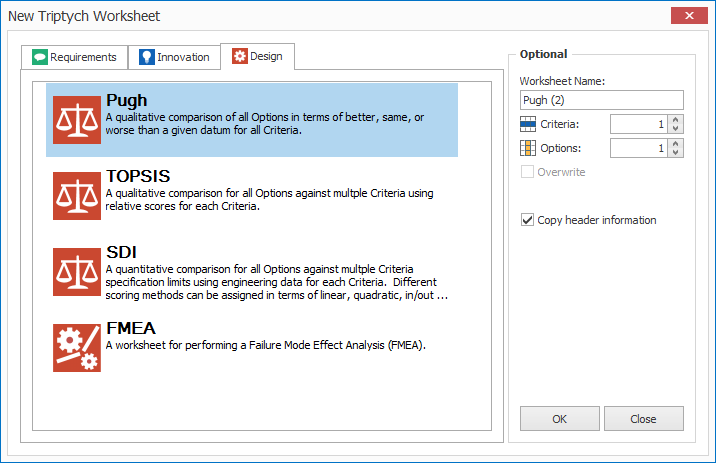 Specify how many Criteria and Options are in the matrix when the Pugh worksheet is created. 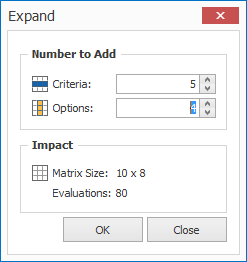 Expand the matrix and view the impact to the number of evaluations. This video shows design selection using Pugh Matrix, TOPIS, and SDI Matrix using SDI Tools v3 in action. We will be updating this video to reflect changes to SDI Tools v4 soon.